You are here: Home / Travel / On To San Diego! We finally made it – wow it is sooo MUCH cooler here! 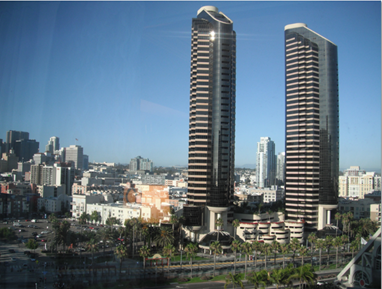 Here’s the view from our hotel room! Everything has been beautiful and fun so far! I will share more later!